Our experts will be working round-the-clock in Seattle this week at the World Congress on Alternatives and Animal Use in the Life Sciences! Over the next several days, staff from The Humane Society of the United States, Humane Society International & The Humane Society Legislative Fund will be at the vanguard of the discussion at this global event that brings together the world’s foremost experts on animal testing alternatives & animal welfare from industry, government, non-profits & academia. Are you in Seattle, too? Please visit us at our booth (#309) and plan to attend the following events! Somewhere else in the world? Check out what we’re up to below and view the World Congress program. • 12:15 p.m. – 1:15 p.m.
Poster presenter Vicki Katrinak looks at how the chemical safety testing landscape has changed over the past ten years, as toxicologists embrace new, non-animal testing strategies. Poster presenter Antoniana Ottoni discusses how the Brazilian authorities aim to implement validated alternative, non-animal tests for commonly used toxicological endpoints and reviews plans to ensure the regulations are updated before the deadline of 2019. Speaker Catherine Willett will explain how animal testing could actually increase under the new chemical safety act, and describe how co-ordinated efforts are needed to exploit non-vertebrate models and other evaluation tools to prevent this. Poster presenter Lindsay Marshall shows how laboratory models using human cells can be used to look at the function of healthy airways and demonstrates that the models can be adapted to enable the study of airways disease, such as cystic fibrosis. Poster presenter Marcia Triunfol reports on an exciting, HSI-sponsored workshop held in Brazil earlier this year. Brazilian and international scientists discussed the potential for 21st century technologies to replace animals in brain research. • 12:15 p.m. – 1:00 p.m.
Poster presenter Tina Qu reports on the progress made in promoting non-animal technologies in China, including the recent roll-out of an AOP-training program. Speaker Troy Seidle describes the application of pathways-based approaches to understand chemical safety and details how a series of workshops sponsored by The Humane Society of the United States and Humane Society International have introduced this concept to other stakeholders – describing the main recommendations from these events. Speaker Catherine Willett will describe the work of the Human Toxicology Project Consortium (HTPC), which aims to advance a biological pathway-based approach to toxicology. She will explain how HTPC intends to achieve this through scientific activities, communication, and advocating for financial and legislative support. Speaker Marco Corvaro will explain how the ongoing global effort to end a test that has been proven redundant illustrates how challenging it can be to enact regulatory change. He will also discuss strategies to improve the use of modern approaches to testing and risk assessment. Speaker Kathleen Conlee will take us from 2006, when The Humane Society of the United States launched their campaign to end the use of chimpanzees in invasive research, to today where numbers of chimps in labs have dropped and research chimps are finally being retired to sanctuaries. Scientists from Singapore’s A*STAR Bioinformatics Institute and the Institute of Bioengineering and Nanotechnology have developed a computerized cell imaging system that can predict with up to 90% accuracy whether a chemical will be toxic to human kidney cells. 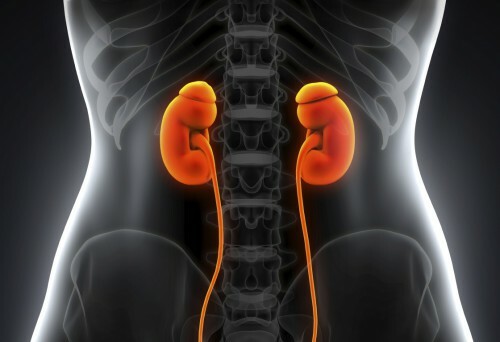 The system is more accurate than animal tests, and faster than existing in vitro methods for predicting kidney toxicity. To create the system, the investigators screened over 2 million individual cells that had been treated with more than 40 different compounds – including industrial chemicals, agricultural chemicals, and various pharmaceuticals. They took microscopic images of the cells following each exposure and examined the images for signs of structural changes or damage to the cells. Those cells treated with compounds known to cause kidney toxicity showed a pattern of changes the team used to construct a “toxicity profile.” By training their image analysis software to look for these features in other cell images, they developed a highly accurate, high-speed, automated screening system. Last summer the team announced a stem cell method for producing a reliable supply of human kidney cells for in vitro screening. However, they noted in the current paper that certain steps in the earlier procedure are difficult to automate. The new image-based screening system can be completely automated, allowing investigators to screen a much larger number of chemicals in a shorter period of time. Scientists at Singapore’s Institute of Bioengineering and Nanotechnology have created a non-animal drug screening method that uses stem cell-derived human kidney cells to predict the toxicity of drugs and other chemicals. The method improves on the reliability and availability of earlier stem cell models, promises to reduce the costs and time it takes to test and develop new drugs, and could eventually eliminate certain animal tests. Using primary human kidney cells in toxicity tests is difficult, as well, due to high variability between donors, and difficulties keeping the cells fully functional during tests. For these reasons, generating a reliable supply of kidney cells from stem cells is preferable. Previous human kidney cell models (including one published by the authors) were produced from human embryonic stems cells (hESCs), which are difficult to access and which raise ethical concerns. This new method instead uses induced pluripotent stem cells (iPSCs) created from more readily available cells, such as human skin cells. iPSCs are genetically “reprogrammed” to an early developmental state, from which they can be coaxed into other kinds of cells. The team’s method produces usable kidney cells within 8 days – much faster than previous stem cell models, as well. To learn more about using stem cells in toxicity testing, read the “primer” on AltTox.org.